There are some stunning holiday resorts in Mozambique, the beautiful east African country on the Indian Ocean, and many of them offer a genuine opportunity to experience an exotic paradise at great prices. The beautiful islands of the Bazaruto Archipelago, off the coast of Mozambique, are among the least developed and unspoilt in the world, and the choice of holiday destinations here is amazing. With a choice of luxurious lodges in perfect locations on two islands in the chain, Azura Mozambique provides wonderful Mozambique accommodation that allows you to enjoy a genuinely unique holiday somewhere truly special. Azura Retreats Mozambique are on the islands of Benguerra and Quilalea; the former is a long-established holiday destination with some wonderful villas and lodges – including Benguerra Lodge, the oldest of all on the islands and still one of the best – while the latter, Quilalea, has to be one of the most exclusive destinations in the world. This completely private island, with only nine luxuriously appointed yet traditionally constructed villas in a truly exotic setting, is simply amazing, and with stunning beaches and beautiful ocean waters to swim and dive in, plus the glorious weather, makes the perfect place for a honeymoon in Mozambique in 2019. Azura Mozambique promises a wonderfully exotic and exclusive slice of Mozambique in either location, and the opportunity to book all nine lodges on Azura Quilalea is one that you can consider if looking for a unique group holiday. Benguerra Island may be more developed, but is still barely touched in terms of the modern meaning of the world. The lodges here are quite delectable, and make a perfect choice for families looking to enjoy a sun-soaked holiday in one of the best of Mozambique beach resorts. For sheer private luxury and genuine exclusivity little can beat Quilalea, and the wonderful location on an otherwise uninhabited island makes it a truly unique choice for a holiday or honeymoon. As experts in Mozambique packages 2019, we have access to the very best resorts, hotels and lodges on the islands, including those of Azura Mozambique, and are committed to finding you the very best deal available for your dream African holiday. With a team of experienced advisers who are familiar with all aspects of Mozambique accommodation, we promise to find you the best holiday deals Mozambique can offer, so get in touch with us right now and book that dream family holiday or romantic break you know you deserve. The stunning islands of Mozambique, in the beautiful blue Indian Ocean, offer some of the most exotic holiday destinations in the world, and among the very best are Azura Retreats, also popular with honeymooners thanks to the private nature of the accommodation. Private islands such as this – Quilalea, in the Quirimbas Archipelago – are few and far between, and this one must be the perfect choice of Mozambique accommodation. With just nine villas within the resort on an otherwise uninhabited island, this really is an opportunity to get away from it all and enjoy a genuinely unique tropical island holiday. Azura Quilalea is one of two Azura Retreats resorts, each of which offers stunning accommodation in beautiful locations. 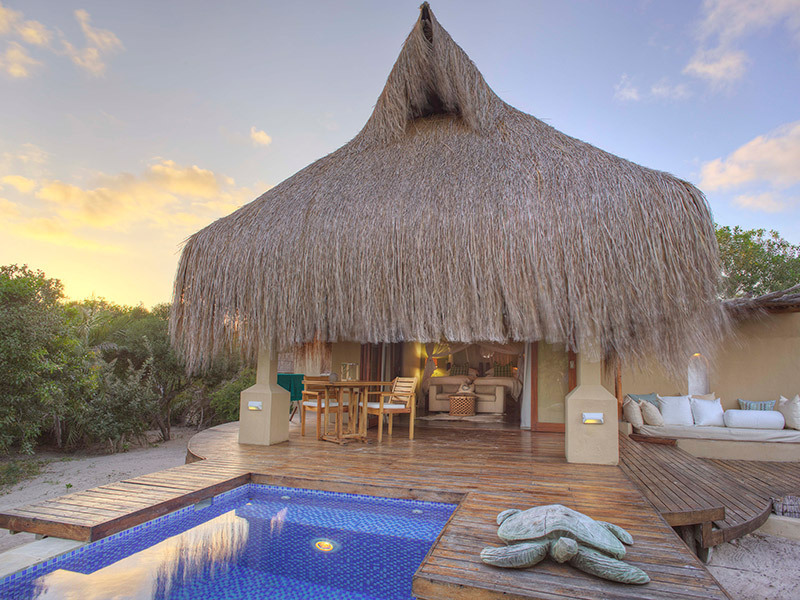 Both are located at the best of Mozambique beach resorts, and offer fabulous facilities in the most tranquil of places. 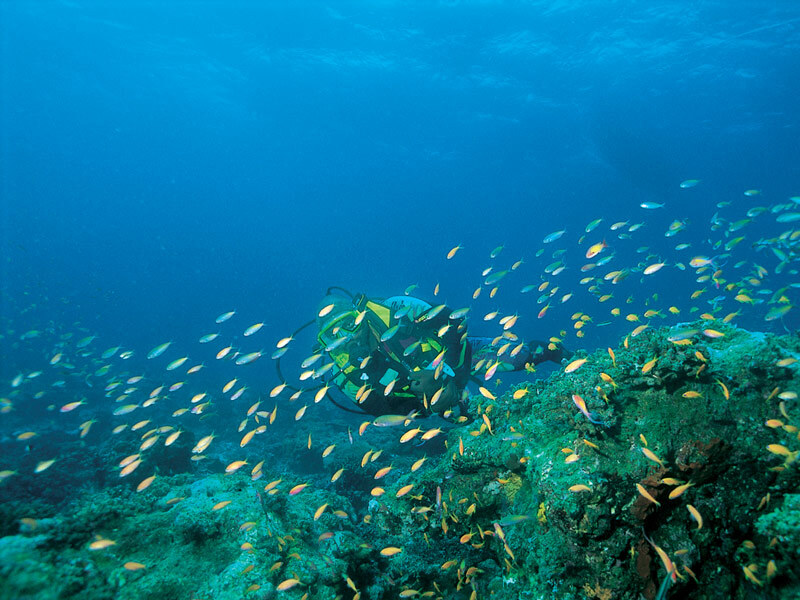 Swimming and diving in the Indian Ocean off Quilalea is a delight, while the magnificent weather, soft sand beaches and private luxury lodges are quite unbeatable. All of these factors point to why this magnificent place is a popular choice for a honeymoon in Mozambique, as it is difficult to find anywhere else where you can be truly alone in such an exotic spot. Also part of the Azura Retreats catalogue is Benguerra Island, another of the magnificent Bazaruto Archipelago group, where you will find a selection of 17 luxury villas on one of the most spectacular islands in the region. 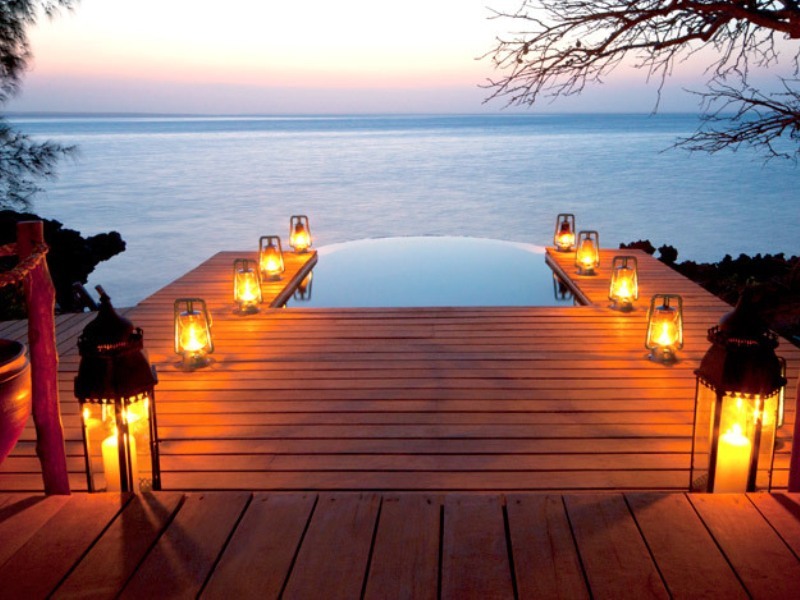 With stunning views across the ocean, wonderful soft sand beaches and the amazing weather, you cannot fail to enjoy a Mozambique holiday, and the wonderful Benguerra Lodge – the first of all to be established on the islands – is equally popular with couples as with families, thanks to its fine facilities and excellent location. As acknowledged experts in Mozambique holiday packages, we can help you find the best Bazaruto holiday package specials so that you get the best deal for your exotic luxury break. Azura Retreats offer a chance in a lifetime to experience a genuinely tranquil and private holiday in some of the very finest resorts not just in Africa, but in the world, and with plenty of choice in terms of accommodation, we are certain we can help you get the right package for your needs and budget. For more on luxury holidays in Mozambique, and to book your dream package to the Bazaruto Archipelago, get in touch now and we will be more than happy to help.